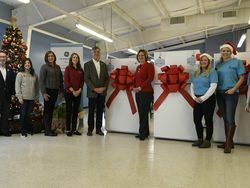 LOUISVILLE, Ky.—January 8, 2018—Since inventing the over-the-range microwave and introducing industry-exclusive products like the Advantium™ speedcook oven, GE Appliances has long owned that convenient, accessible space above the range. Now, this high-activity zone of kitchen real estate is getting even smarter with GE Appliances’ industry-exclusive kitchen hub, premiering during this year’s Consumer Electronics Show. 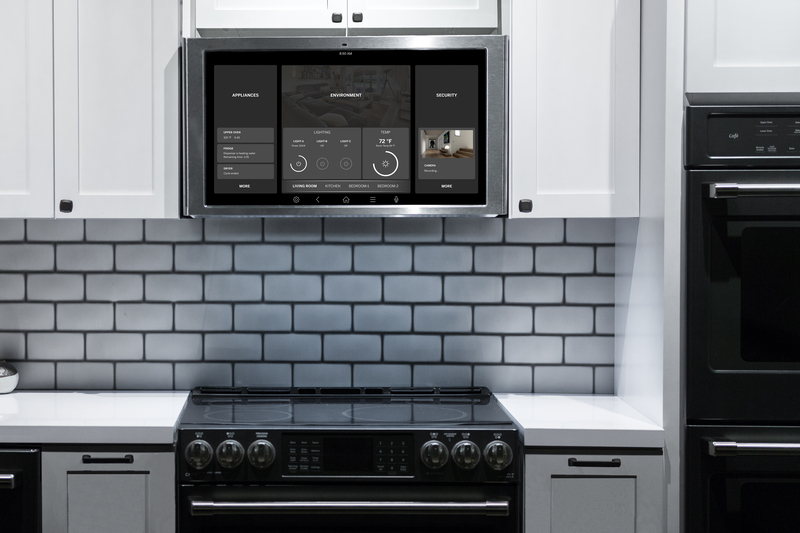 GE Appliances’ kitchen hub is unlike any other kitchen smart device—in both functionality and location. Its placement over the range puts tech where it belongs: at a comfortable viewing level and above the one appliance family and friends gather around while making dinner and conversation at the end of the day. GE Appliances’ kitchen hub provides access to recipes that will impress family and guests. 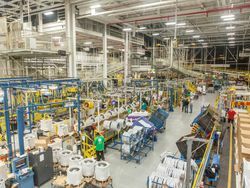 By becoming part of the Haier Appliance Company, GE Appliances can now leverage a ubiquitous global technology. The smart kitchen hub is enabled by the Haier U+ Smart Life Platform, a proven operating system that is global, open and secure, with virtually endless interoperability possibilities. Mom’s famous pasta primavera is sure to wow your dinner guests, but you wonder: Was it one clove of garlic—or two? That’s when you invite her to video chat through the kitchen hub and suddenly she’s cooking with you, watching as you add the perfect pinch of this and just a dash of that. Suddenly your doorbell rings, you pull up the video and see your guests have arrived. You thank your mom for the help, start a playlist for hors d’oeuvres and drinks, and go greet your guests for an amazing meal. Interactivity and sharing life’s moments are just two uncommon advantages of this over-the-range kitchen hub. 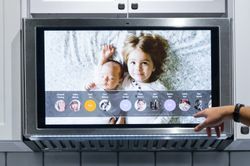 This 27-inch smart screen can communicate with other connected appliances including GE brand washers, dryers, dishwashers, refrigerators, wall ovens and, of course, ranges. GE Appliances kitchen hub, also provides exhaust hood ventilation. 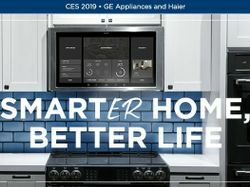 The GE Appliances kitchen hub will be shown at CES in the Haier exhibit (LVCC, Central Hall—11421). Several prototypes, featured in a Black Slate premium finish, will be on display and will take attendees through an interactive demo. Showgoers can also learn more about the Haier U+ Smart Life Platform that seeks to create a unified world where appliance makers can connect with each other freely, allowing a variety of smart household products and services to communicate. Look for GE Appliances’ newest and smartest over-the-range product to arrive in the second half of 2018. In the meantime, fans of easier, more enjoyable living can learn more about real connections for real life by visiting GE Appliances online. GE Appliances’ kitchen hub features a 27-inch smart screen equipped with voice and gesture commands. The over the range placement of the kitchen hub allows for a comfortable viewing level and above the one appliance family and friends gather while making meals. 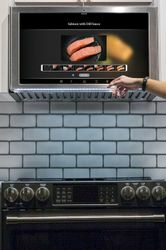 GE Appliances launches the kitchen hub, an over the range smart hood conveniently located in the heart of the home.